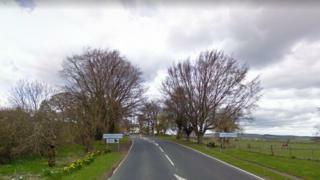 Part of the A697 - a major route through Northumberland - is to be closed for three days for repair work. Northumberland County Council it had no alternative but to close Front Street temporarily due to the narrow stretch through Longframlington. The closure will be in force between 07:30 and 19:00 from Monday. Diversions will be in place through via Weldon Bridge and Rothbury during the work under the council's £23m Local Transport Plan investment programme. Councillor Glen Sanderson, Cabinet member for Environment and Local Services, said: "We appreciate there is a significant diversion and are sorry for the inconvenience this will cause drivers, however the work will be done as quickly as possible to minimise disruption. "Businesses in the village remain open and the village itself can still be accessed, but with no through traffic."